Murat Kumpilov appointed Acting Head of the Republic of Adygeya. 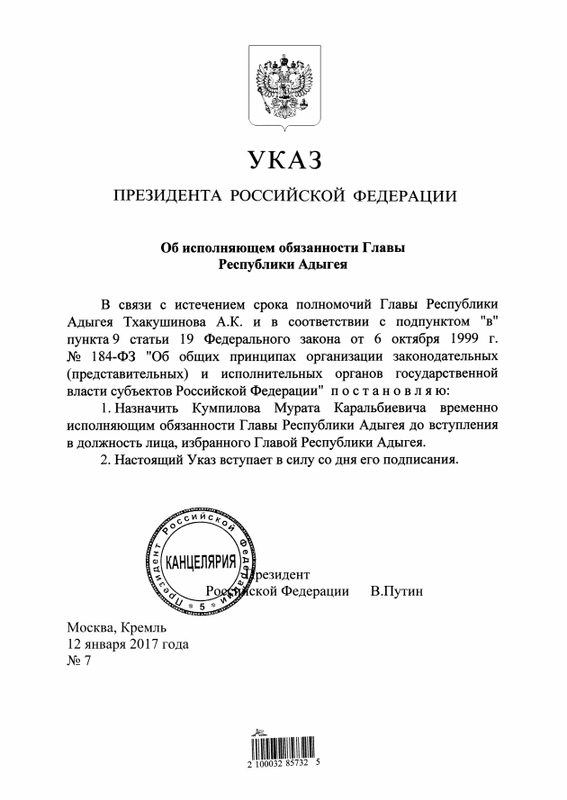 Putin.BLOG Civil Service Murat Kumpilov appointed Acting Head of the Republic of Adygeya. Vladimir Putin signed Executive Order On Acting Head of the Republic of Adygeya. 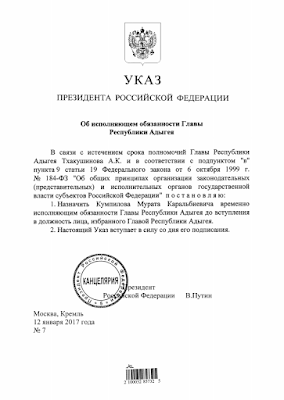 In connection with the expiry of the term of office of Head of the Republic of Adygeya Aslan Tkhakushinov, the President appointed Murat Kumpilov Acting Head of the Republic of Adygeya until the newly elected head of the Republic assumes office. 0 Comment to "Murat Kumpilov appointed Acting Head of the Republic of Adygeya."